Manufactured at Bratislava plant in Slovakia. Powered by 3.0-liter TDI diesel with mild hybrid. 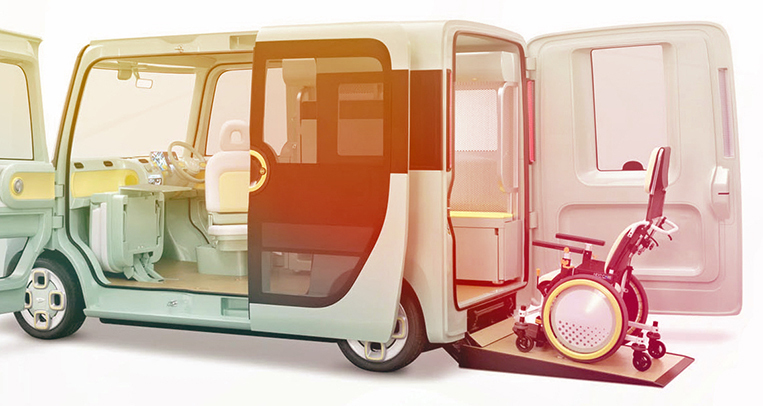 A showcase of new design language for Q models. 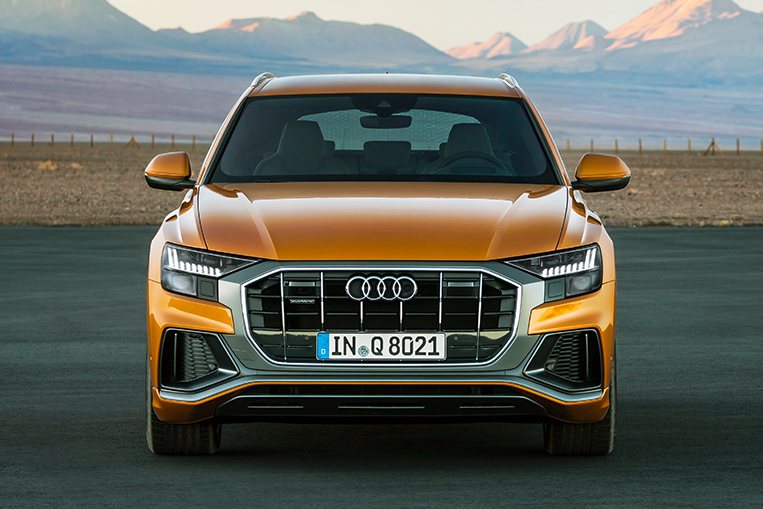 Good news for anyone looking to purchase a land yacht for the daily school safari or the hazardous grocery trip: The new Audi Q8 is about to hit showrooms across the globe, starting with Europe in August. 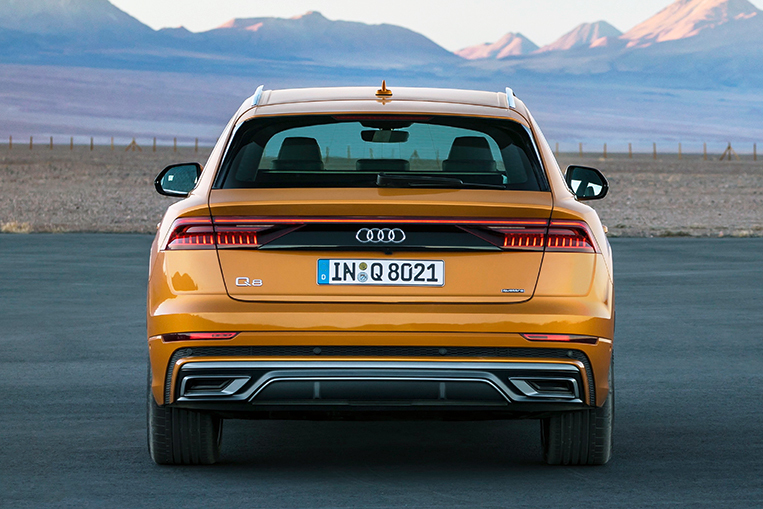 Sitting proudly atop the brand’s Q range of cars, the Q8 is bolder, more expensive and definitely more of a statement than any other high-bodied vehicle carrying the four-ring logo. Here’s all you need to know before joining the queue (pun obviously intended) to order one. Standing 4,986mm long, 1,995mm wide and 1,705mm tall, the Q8 is slightly shorter and lower but a little bit wider than its nearest relative, the Q7. This might come as a surprise for a supposed range-topper, but it’s mainly down to the fact that the new King of Qs has been designed as a four-door coupe instead of a traditional and box-shaped SUV. 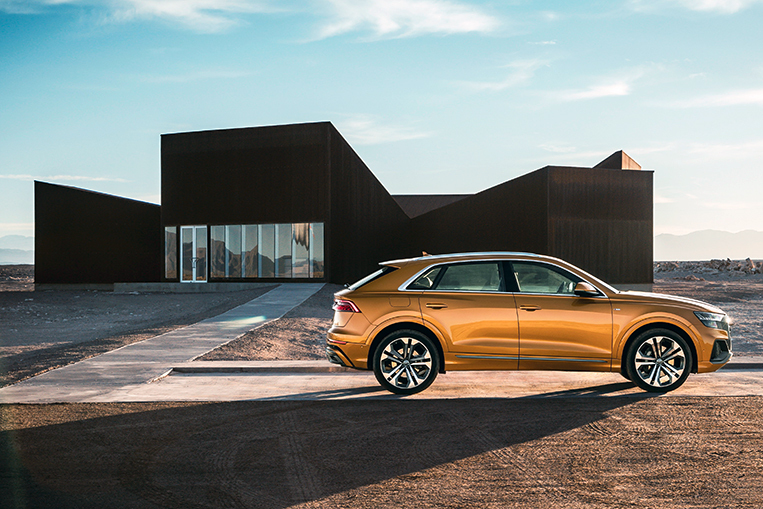 To be manufactured at Audi’s Bratislava plant in Slovakia, the Q8 is a sportier and more prestigious car that also highlights the brand’s future design language. The press release is dripping with terms like “sophisticated” and “athletic” when describing the design of Audi’s latest soccer-mom shuttle, and there is no doubt that it does look pretty imposing. The in-your-face front section—complete with an octagonal radiator grille and air intakes seemingly big enough to play hide and seek in—merges into a flowing roofline that ends in a high-waisted rear adorned by a small band of lights. 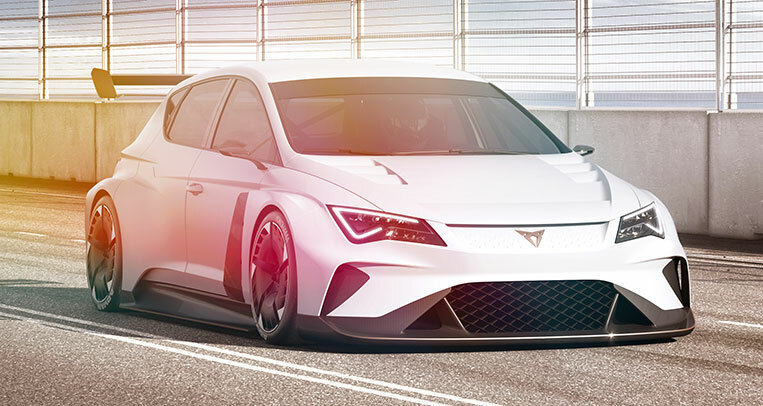 When the car is viewed from the side, prominent strakes and muscular wheel arches dominate the picture. 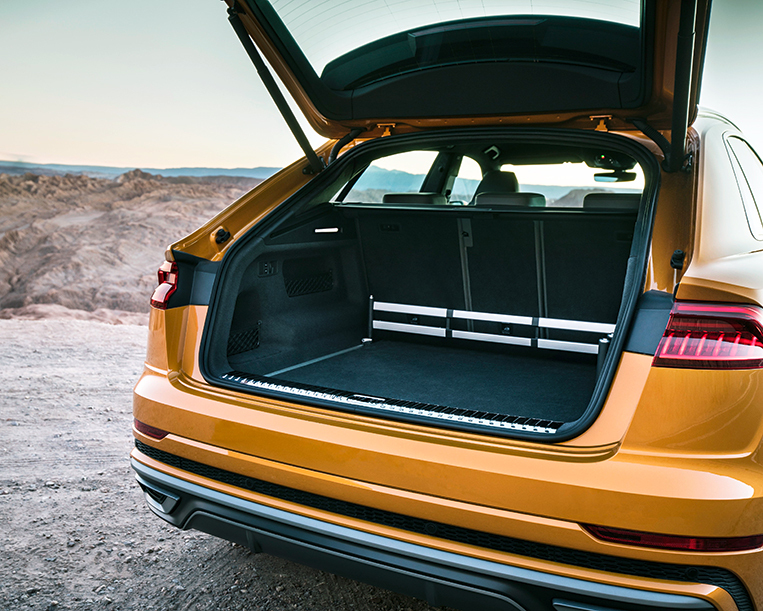 There’s plenty of space inside, too, with a wheelbase of almost 3m ensuring that the front and rear passengers practically sit in different zip codes. Operating most of the onboard functions has been simplified and digitized by means of two large displays at the front of the cabin, with the top one operating the infotainment and navigation system, and the bottom one controlling such comfort functions as the air-conditioning. 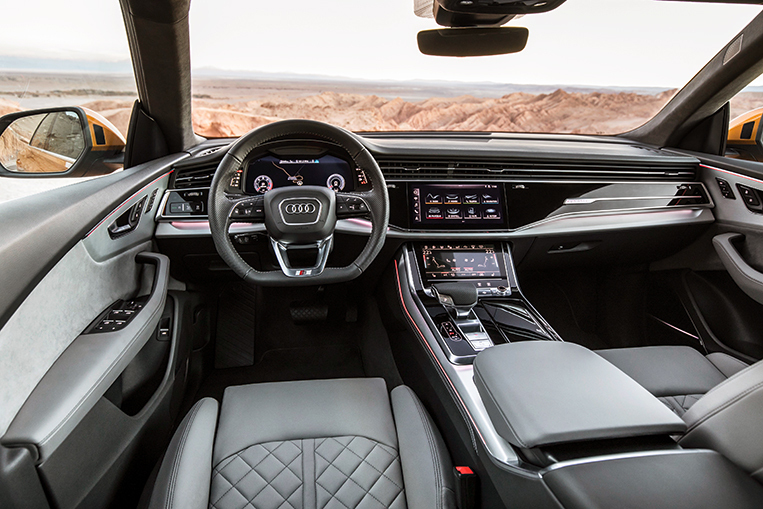 The instrument panel is also fully digital and displays all relevant data to the driver on a 12.3-inch screen behind the wheel, with a heads-up display also being available. Between 605L and 1,755L of luggage can join the trip if needed, while optional contoured massaging seats, an air deodorizing and ionizing package, and a Bang & Olufsen sound system make sure that passengers can enjoy the journey in appropriate style. 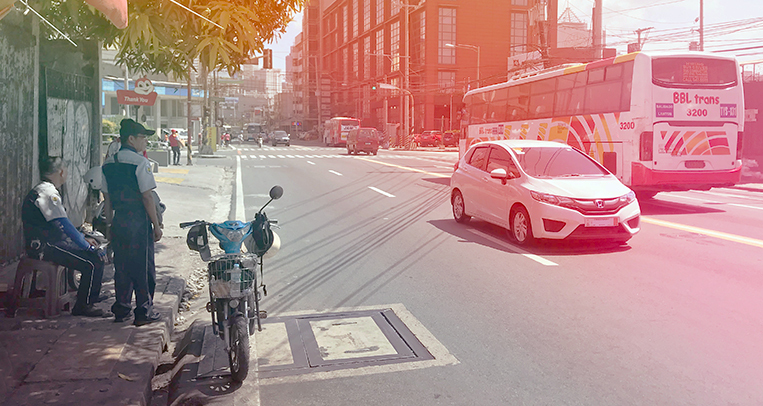 To relieve the driver of traffic-related stress, the usual suite of driver-assistance systems has been fitted to the Q8 as well, including adaptive cruise control, lane-change warning and 360-degree cameras. 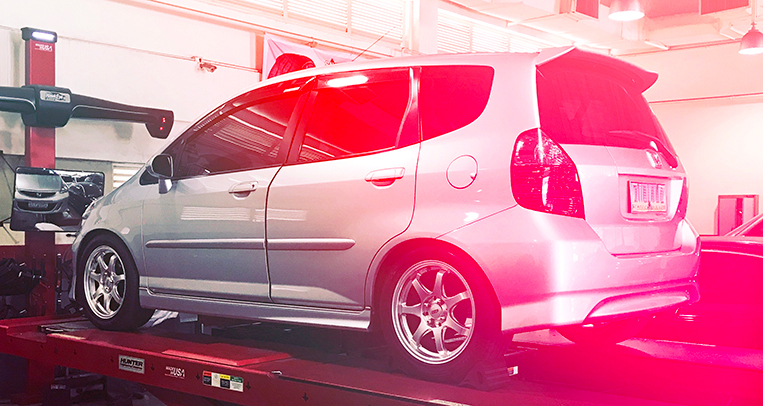 A curb warning helps to keep scratches away from those shiny 22-inch wheels. For the really lazy, there’s even a function that sees the car park itself with the help of an app on the owner’s smartphone. 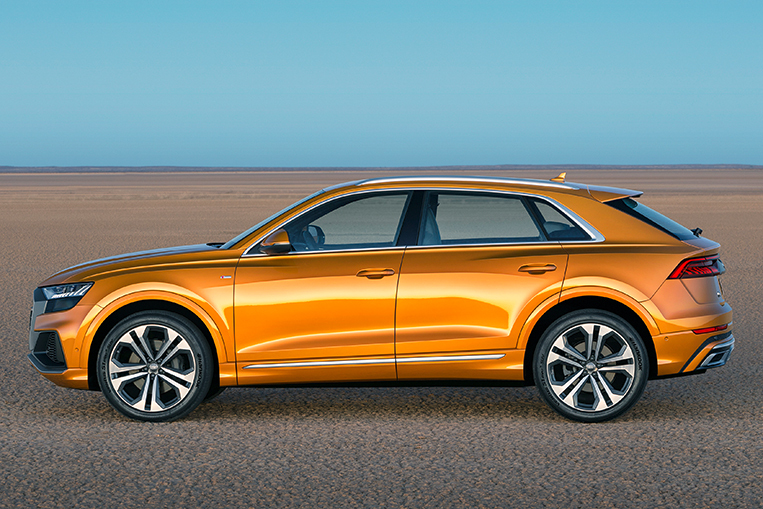 At launch, the vehicle will be available with a 3.0-liter TDI diesel V6 churning out 286hp and 600Nm. 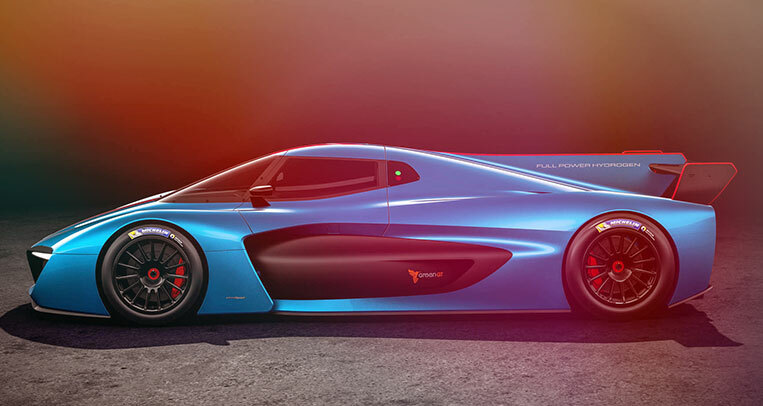 Zero-to-100km/h is done in 6.3 seconds, with the top speed given as 245km/h. Power is transferred via an eight-speed Tiptronic transmission. The Q8, by the way, also makes use of “mild hybrid” technology, a type of system similar to the one used by Mercedes-Benz in the AMG 53-series. It combines the 48V onboard electrical system with a lithium-ion battery and a belt alternator starter to allow for long coasting phases where the engine can remain deactivated, thus reducing fuel consumption. Two other engine options are due to be launched early next year. 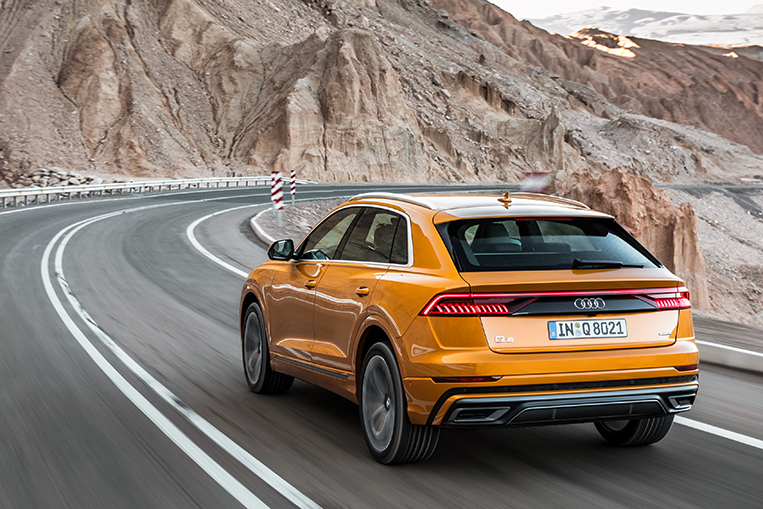 With a ground clearance of up to 254mm, permanent all-wheel drive and electronic helpers like hill descent control and a dynamic handling system featuring seven different driving modes, the Q8 could (in theory) cut a good figure while going off-road, too. But in reality, it will probably never leave the safety of paved city roads. Still, it’s always nice to know that you could go full Indiana Jones if you really wanted to. 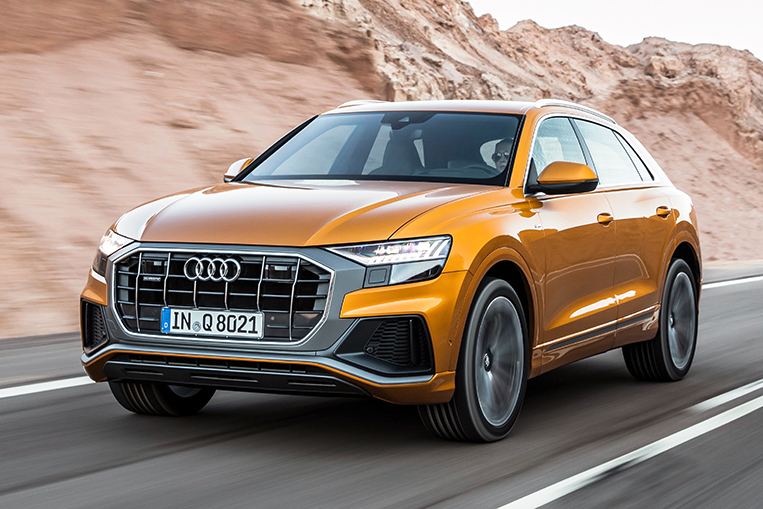 Audi’s new flagship SUV is starting at €76,300 (P4.78 million) in the German market, which means it will be a proper super-premium ride by the time it arrives on our shores. Is a Ferrari SUV sensible or blasphemous? Do you want a coupe that’s also an off-road vehicle?